Mental ill health in children can manifest itself in conduct problems and emotional issues and these behaviours are often displayed in the classroom, these SEMH difficulties often can lead to children being punished or excluded for exhibiting these behaviours. At last more and more schools are now starting to look underneath presenting behaviours and identify actual prevailing social, emotional and/or mental health needs. Often these presentations indicate the existence of underlying problems whether it is environmental (e.g. adverse childhood experiences) or developmental (ASD). Negative behaviours should be a means of communicating needs and the way a child communicates will be heavily dependent on their early development and attachment styles. Understanding attachment theory and child development can enable us to understand why sometimes some children behave in certain ways. For children where trauma/Adverse Childhood Experience has occurred they may not have had adequate opportunity to develop their language, social, self-management, coping and play skills as well as self-esteem and this results in significant gaps in their social and emotional 'building blocks'. At school this may result in them not behaving in an age-appropriate way. In these situations rewards and consequences to motivate the child will not work, instead we need to fill in gaps in their development by giving them input and coaching in how to gain and practice these new skills. By taking a developmental approach we can change thinking from ‘what is wrong with this child’ to ‘what has happened to this child’, and no longer just see unwanted behaviours as a 'disorder'. Instead we can take a positive step forward by starting to explain what underpins a child’s social and emotional difficulties and support these children to develop the emotional and social skills underpinning learning so they will be able to function more effectively within the classroom, playground and beyond school. 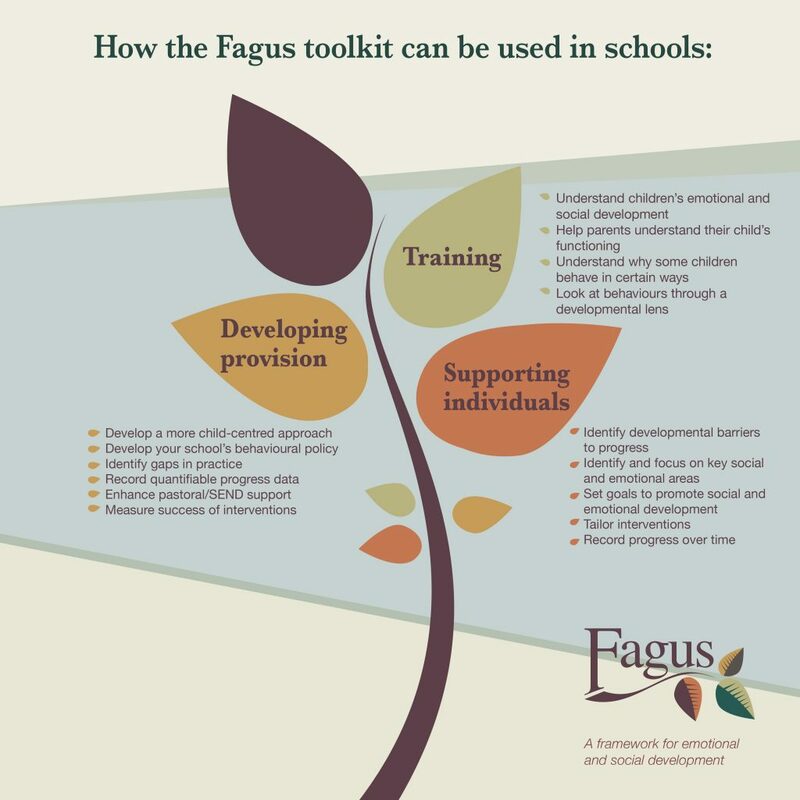 With Fagus, a school now has a framework to assess a child’s strengths and weaknesses across the different emotional and social domains so they can then start to clarify individual needs and see their developmental challenges all on one page. Once profiled, teachers can start to set developmentally appropriate goals where the child is developmentally behind, and use these goals to target strategies and focus interventions. 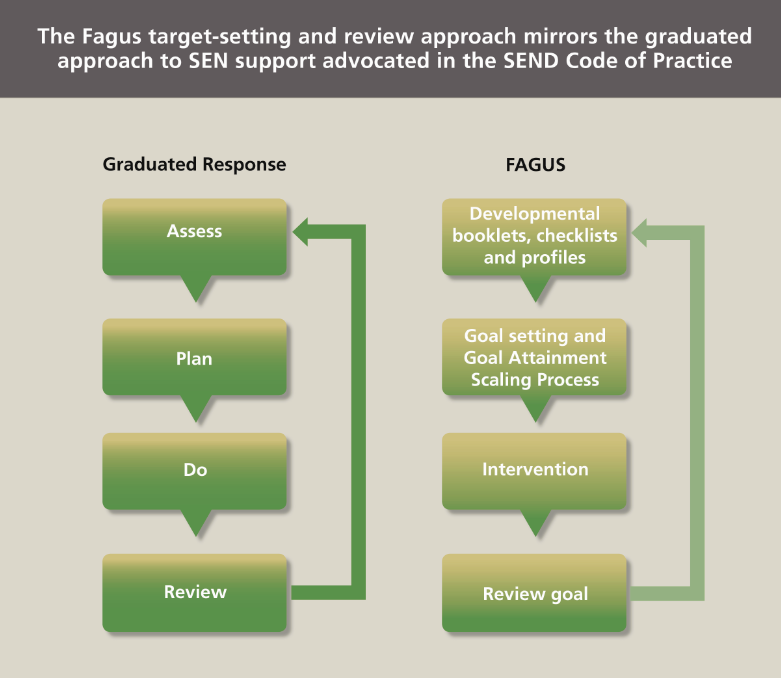 Fagus helps schools measure the impact of one to one interventions and communicate to all stakeholders ways to understand their behaviour, challenges and barriers to learning and quantify progress over time. 1. Improve knowledge and understanding in school relating to children’s emotional and social development (See FAQ - What is social and emotional development?) and make clear judgements regarding children’s behaviour. The resource is made up of 13 Developmental Guides – one guide per developmental area. The guides summarise the findings from an extensive search of academic, psychological literature. The authors have presented complex psychological information in a simple, clear format which is accessible to those who are new to psychology. The developmental guides have been endorsed by a team of academics from the psychology department at Royal Holloway College, University of London. The Fagus resource also includes Developmental Checklists. These are briefer versions of the Developmental Guides. Teaching staff can use each checklist as a quick reference tool to identify whether a child is demonstrating the key behaviours associated with a particular age range within an emotional/social domain. This information can be collated to create a Developmental Profile for the child. Teaching staff can use the guides to approximate a child’s current level of development within a particular emotional/social domain and set targets and goals based on what would be expected to happen next in typical development. The developmental guides been summarised into a shorter format to create Developmental Checklists. 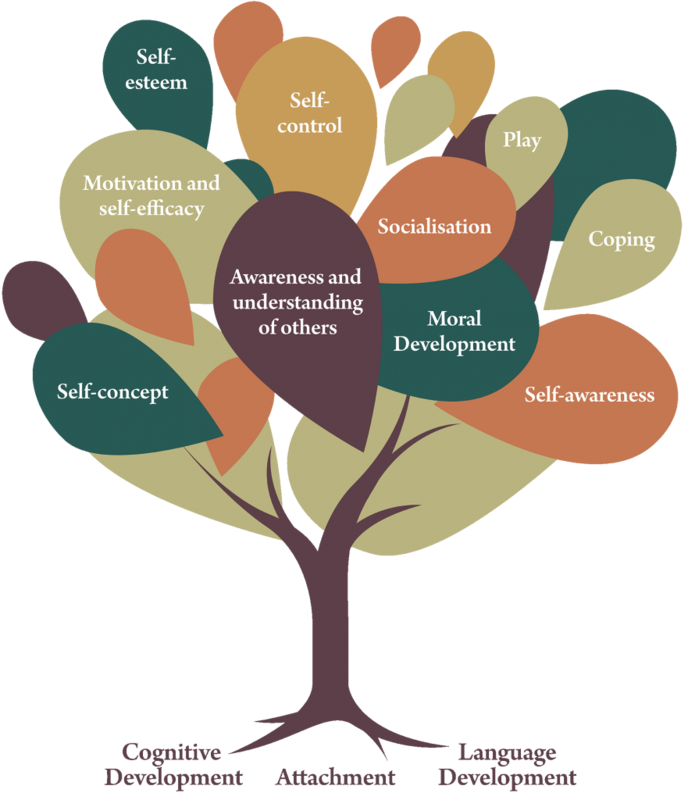 These can be used to create a Developmental Profile of a child, approximating their development across each of the emotional and social domains. The checklists and profiles can be updated to track the child’s emotional and social progress and focus and evidence the impact of interventions.